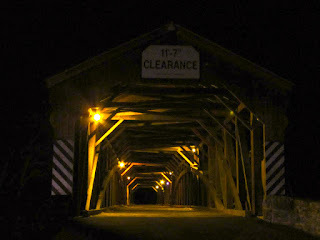 Daylight had waned by the time I reached the Academia/Pomeroy Covered Bridge in Juniata County. 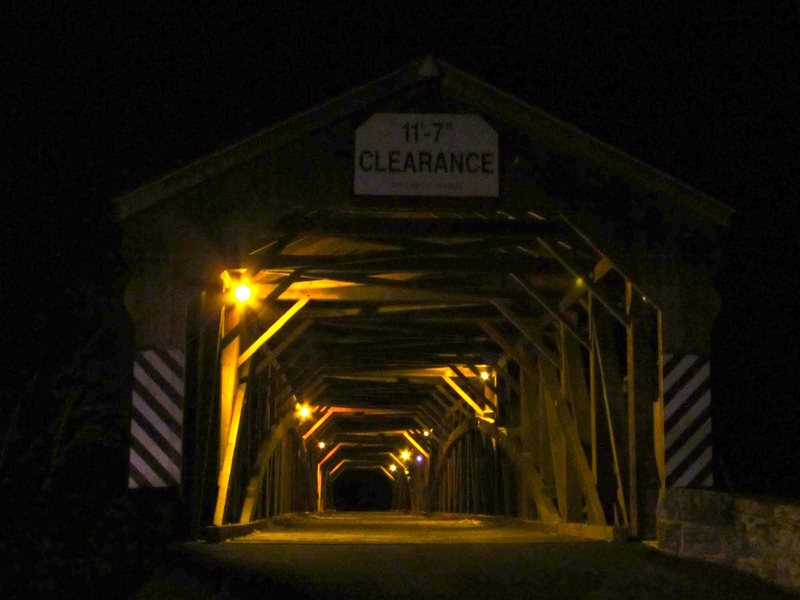 At 278 feet, this is the longest covered bridge in the state, and one of the longest in the country. The bridge was recently refurbished. It crosses the large Tuscarora Creek, a creek that is basically the size of a small river. 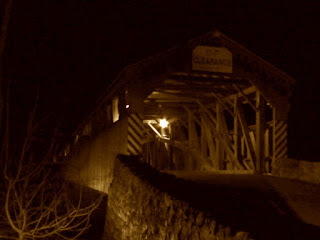 The bridge is owned by the Juniata County Historical Society. The Academia/Pomeroy Covered Bridge utilizes the Burr Arch and Truss design. The immensity of this bridge is stunning.